Small 4to, Unpaginated (ca 104pp). Printed wraps. Numerous Black & White plates. Text in English. 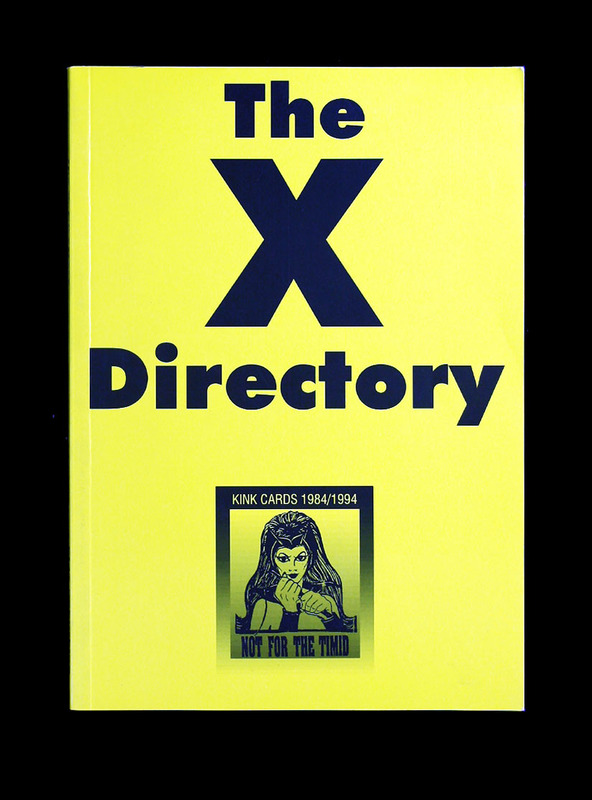 “A fine collection of six hundered and one of the best ‘kink’ cards collected from London telephone booths between the years 1984 and 1994. This unique collection documents the secret world of Bizarre Madams, the Old Colonial Schoolboys, and Cross Dressers searching for the fulfilment of their incredible, inexplicable dreams.” Wonderful collection of ephemera that was disappearing in that form even at the time of publishing due to cheap full colour printing, and now seems almost impossible to imagine thanks to that internet.